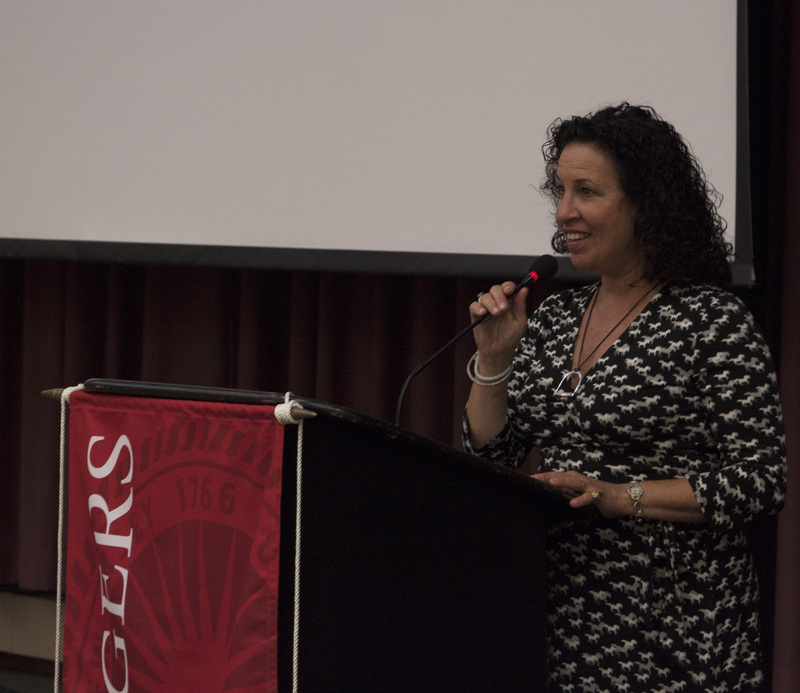 The award was presented at the Rutgers Equine Science Center’s 2017 “Evening of Science & Celebration” on Thursday, November 9. Sponsored by Mid-Atlantic Equine Medical Center, the event is an opportunity to unite equine professionals, horse owners, farm owners and barn managers, educators and students, 4-H members, and all equine enthusiasts for the purpose of learning about current projects and ongoing research initiatives being conducted at the Equine Science Center. The Center aims to address horse industry issues and challenges through sound-science and research. Laurie Landy speaks about her dedication to helping children with disabilities through her work at Specials Strides. Opening their doors in 1998, Landy combined her passion as an occupational therapist, with her love of horses. A non-profit organization devoted to improving the lives of individuals with special needs, Special Strides uses a unique combination of horses and therapy to improve the lives of everyone who arrives at their door. Based in Monroe Township New Jersey Congress Hill Farm, the facilities encompass 200 acres of training areas (both outdoor and indoor) and wooded trails. The Dorsetts receive the Gold Medal Horse Farm Award for their efforts to improve the environmental stewardship of their farm in Woolwich Township. 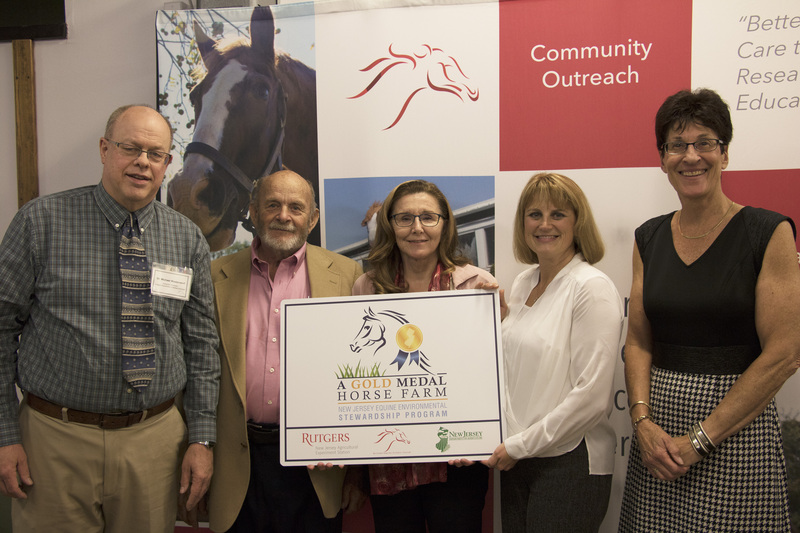 The Center also presented its annual Gold Medal Horse Farm award to the Dorsett family from Dorsett Farms in Woolwich Township, NJ. The award, part of the New Jersey Equine Environmental Stewardship Program, gives recognition to outstanding equine farms for their dedication to environmental sustainability and management. It also underscores the efforts of the New Jersey equine industry to maintain the beauty of the Garden State. The program is a collaborative initiative by the New Jersey Agricultural Experiment Station at Rutgers University, the Rutgers Equine Science Center, and the New Jersey Department of Agriculture.